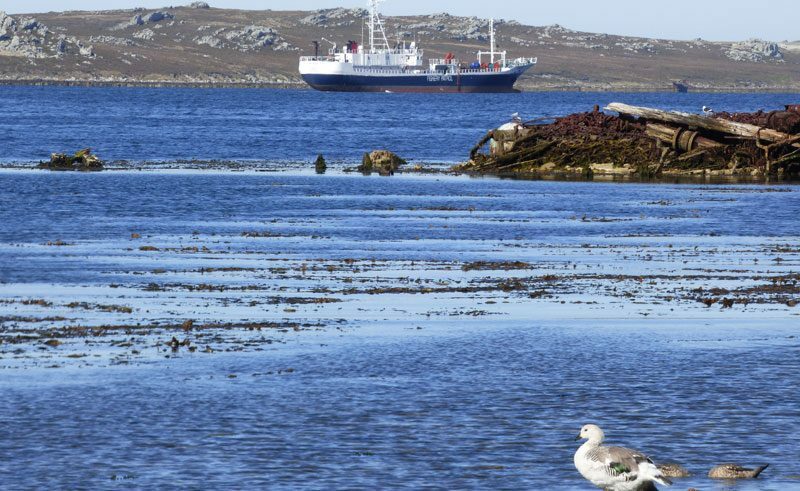 The Falkland Islands were a place that I had never really known too much about. 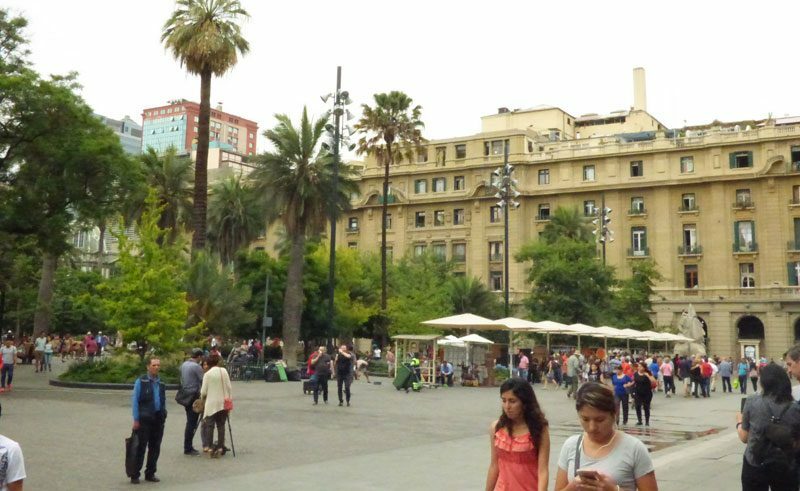 Due to the 1982 war, I was vaguely aware of their location in the South Atlantic Ocean off the east coast of Argentina, but beyond that, all I had to go on were the washed out, greying images from the newsreels of my childhood. The 74 day battle left some deep mental scars on the traumatised troops involved, not to mention the unsuspecting, under siege locals, but it also presented those back home in Britain with an unappealing impression of the islands that has proven difficult to shake off. It was therefore, with tempered expectations that I set off on my journey to find out what all the fuss had been about and discover if one of the crown’s most remote territories had really been worth defending. It must be said that it is not an easy location to reach from the UK. 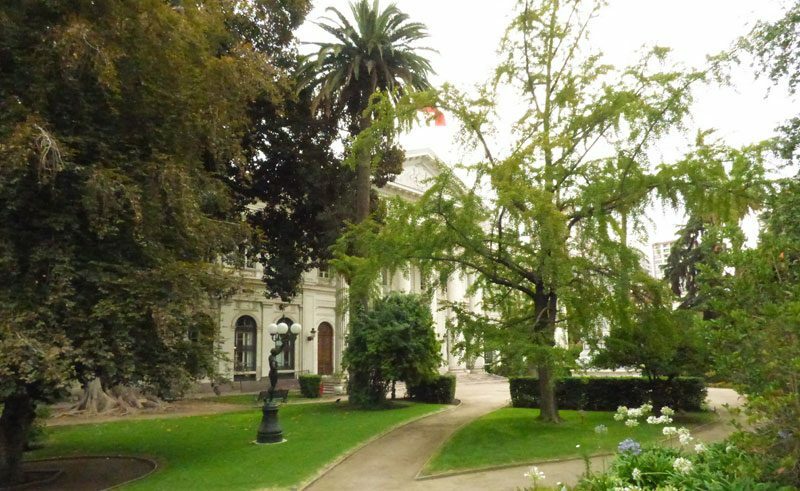 All flight options are lengthy, but the one I took enabled me to combine my final destination with a hugely worthwhile exploration of the Chilean capital Santiago – a bustling city rich in history and culture. My journey also took me via Punta Arenas, the gateway to the jaw dropping landscapes of Torres del Paine National Park – one of Patagonia’s most celebrated and visited regions. Regretfully I didn’t have time to stop, but having glimpsed the impeccable peaks of the region from the air as we flew overhead, it has certainly risen sharply on my increasingly long travel wish list. Having finally arrived at the Mount Pleasant military base that doubles as the Falkland’s international airport, I was somewhat surprised to find myself needing to put away my beloved Christmas jumper in favour of my rarely utilised sunglasses. There was not a single lonely cloud in the bright, sun drenched sky. It was at this point that I began to twig that the picture I had painted in my mind of these seldom visited islands would need some very extensive reworking. The capital ‘city’ of Stanley lies around a 45 minute drive from the airport, along a lengthy, gravel laden road. It is home to over 2,100 people which is almost 75% of the entire population of the islands. Stanley is a fabulously quaint little town, with all the hallmarks of a small English village, frozen in a more innocent and simple time. Walking down the main street which runs adjacent to the waterfront, you could be forgiven for thinking you were wandering along the seaside shores of Dorset or Devon. It is only when you reach the end of the boulevard and encounter the offices of the small local newspaper that you realise that all is not as it seems and that the red pillar boxes and telephone booths are masking a very different world to the one you have left behind. 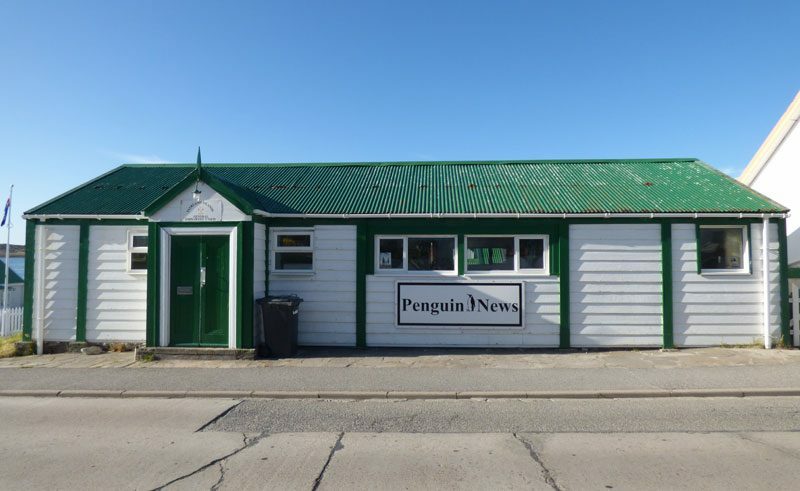 You see, while we get our headlines from tabloids such as ‘The Mirror’, or broadsheets like ‘The Times’, The Falkland islanders get their local updates from the offices of the fantastically named ‘Penguin News’. 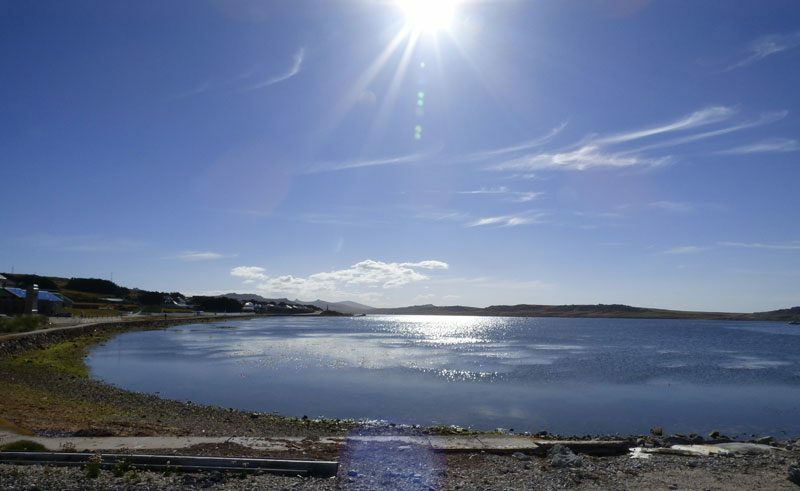 You need not travel far out of town to witness the wobbling waddlers that are helping to establish the Falkland’s as a genuine wildlife wonderland. Just a 20 minute drive away is Gypsy Cove. This is a region of sparkling white sand beaches whose dark past has inadvertently transformed them into a haven for playful penguins. The Argentine invasion led to the laying of landmines that were soon strewn across this zone in anticipation of a British fight back.Whilst the clearance of these continues, fences ensure that humans can only observe from afar as the birds, safe from the mines because of their lightness of foot, go about their busy lives. 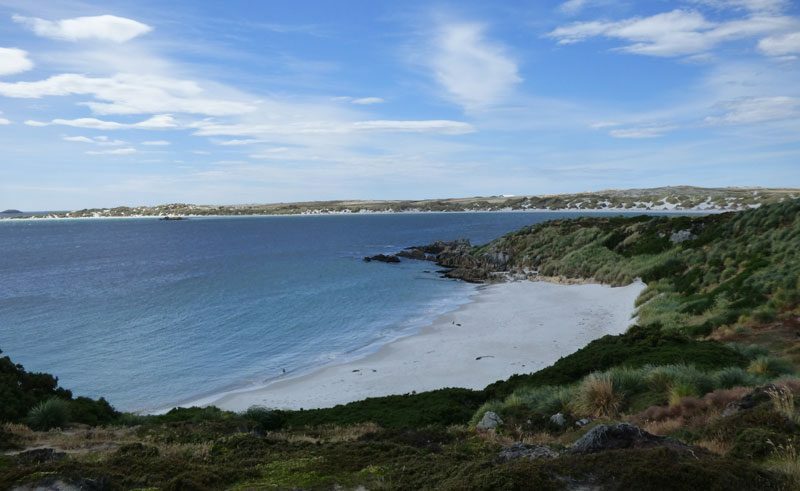 Enquire online or talk to one of our Travel Specialists for help in planning your very own Falklands escape. 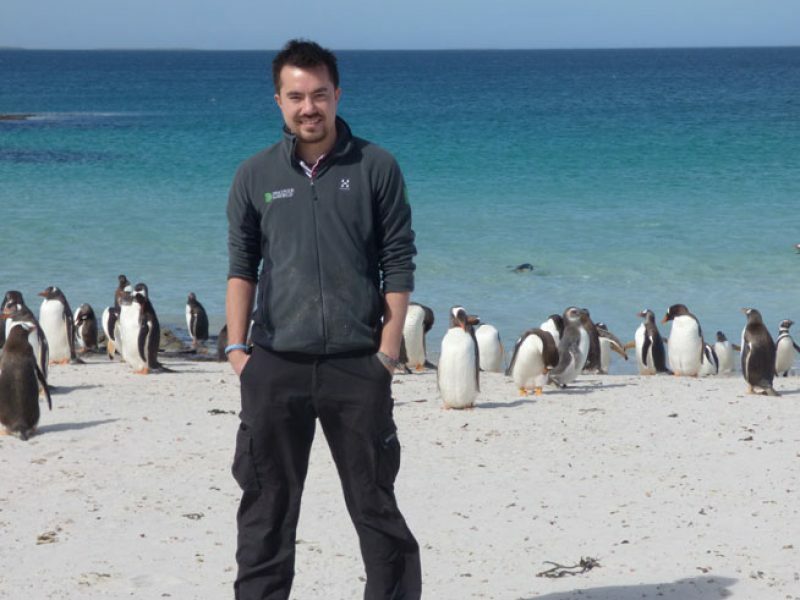 Polar specialist and penguin enthusiast, Gary, talks about his adventures in the Falkland Islands. Read part two of his journey here. 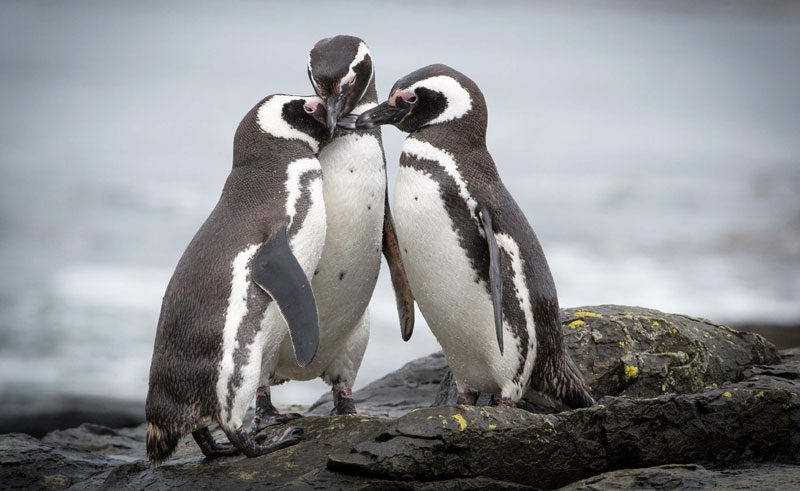 Did you know, penguins mate for life? Find out more interesting facts about these charming creatures in our blog.